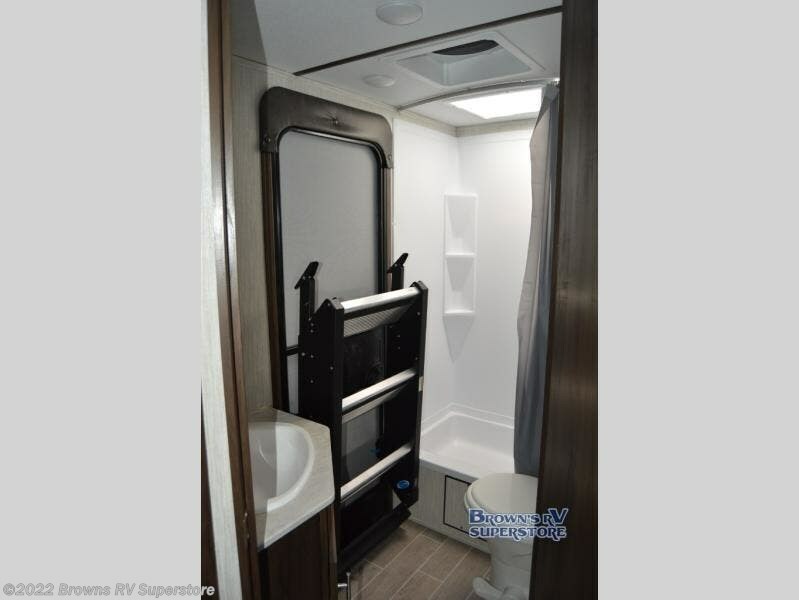 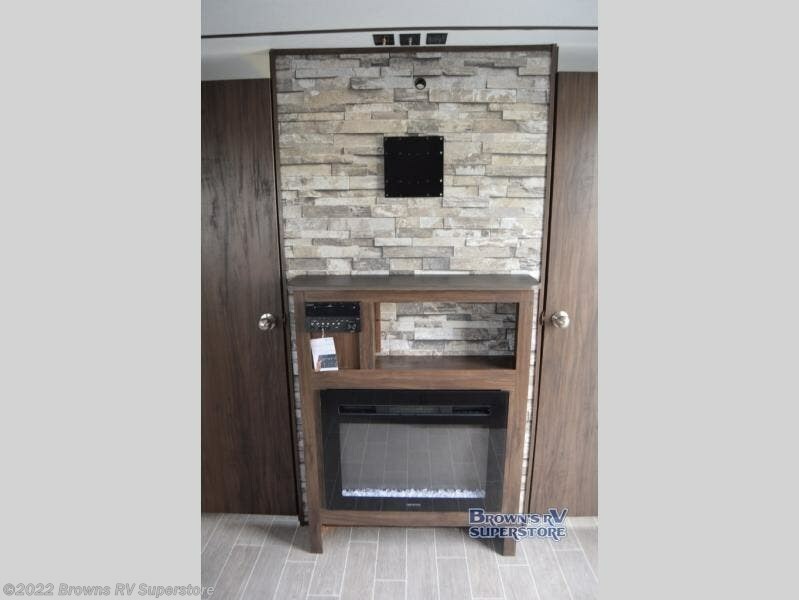 This Cherokee Alpha Wolf travel trailer will not only be your family's favorite unit to take on every upcoming getaway, but it will also be everyone else's favorite because it has been ranked "Best of Show" for 2018 by RV News. 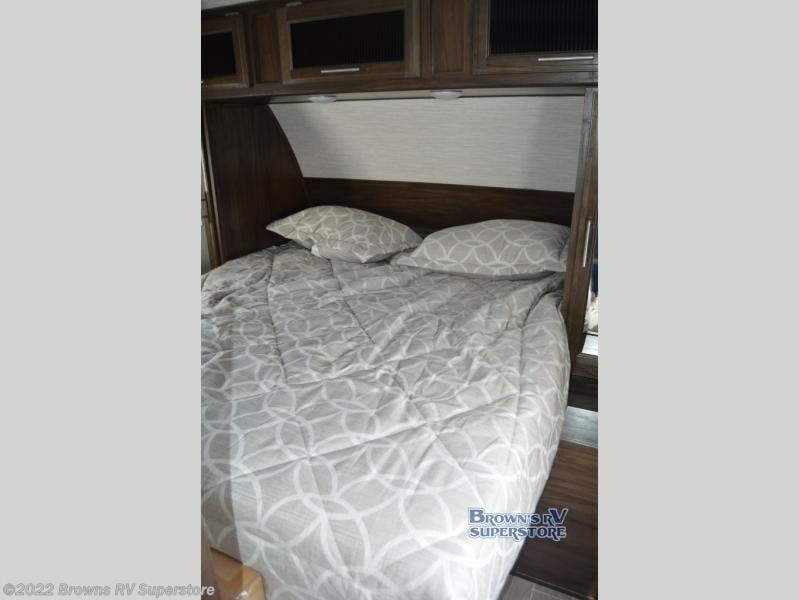 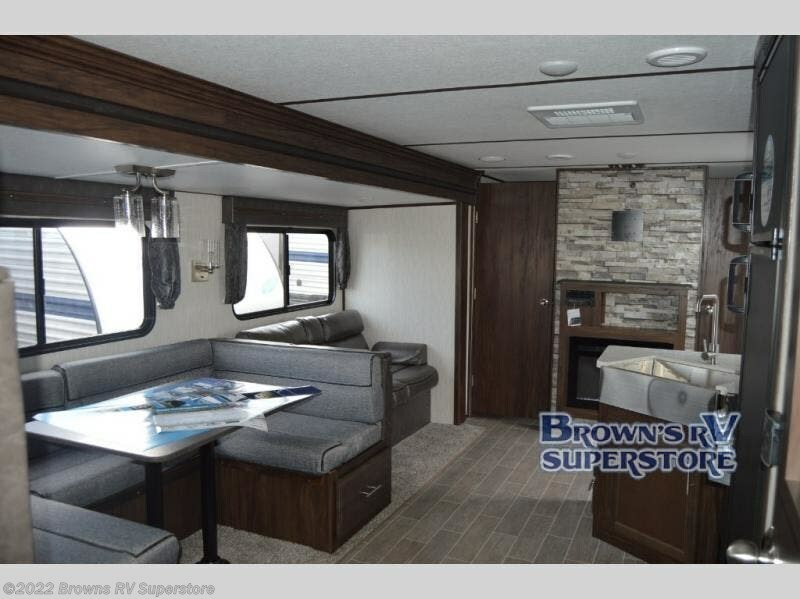 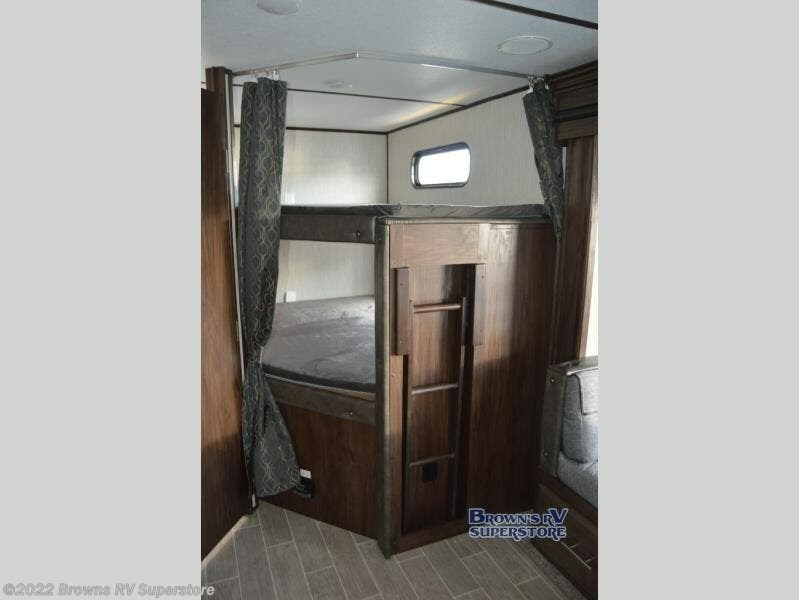 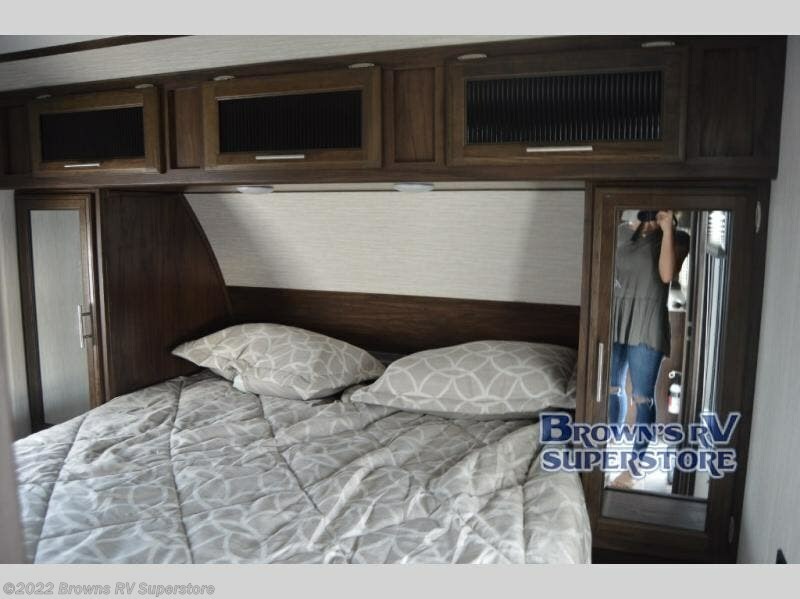 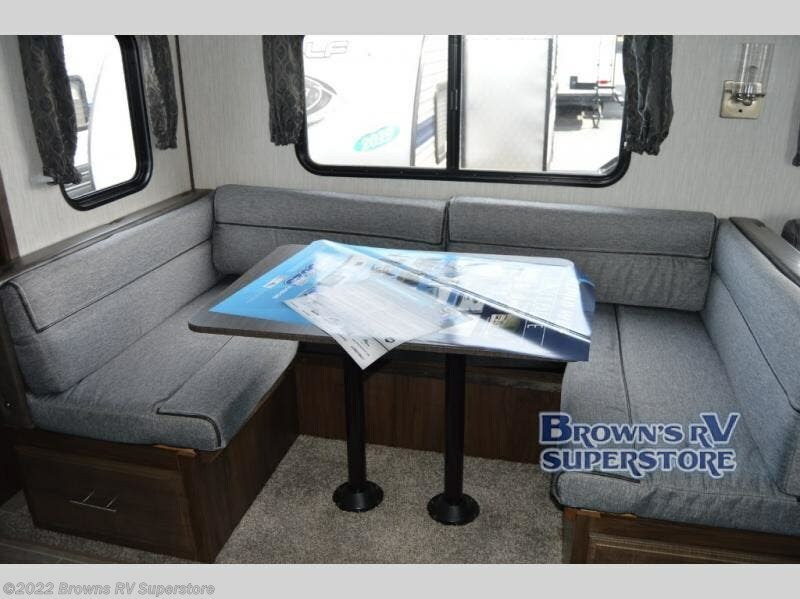 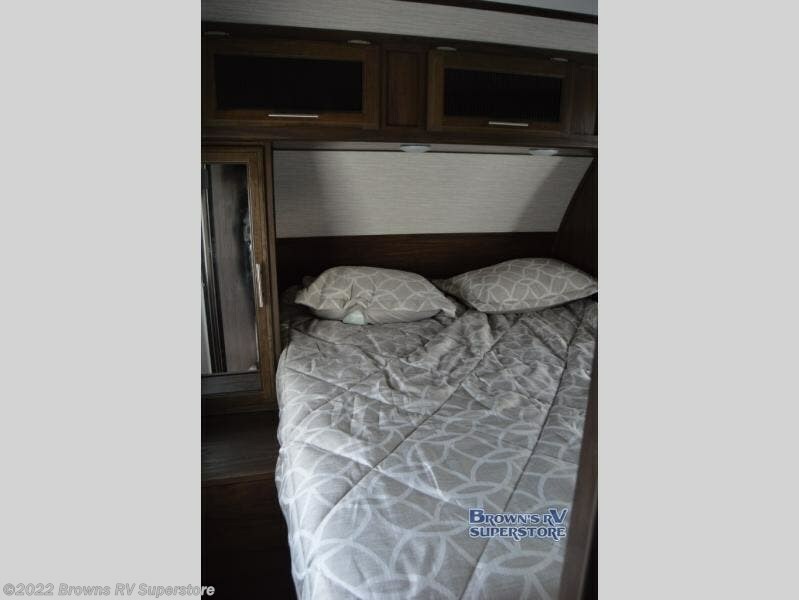 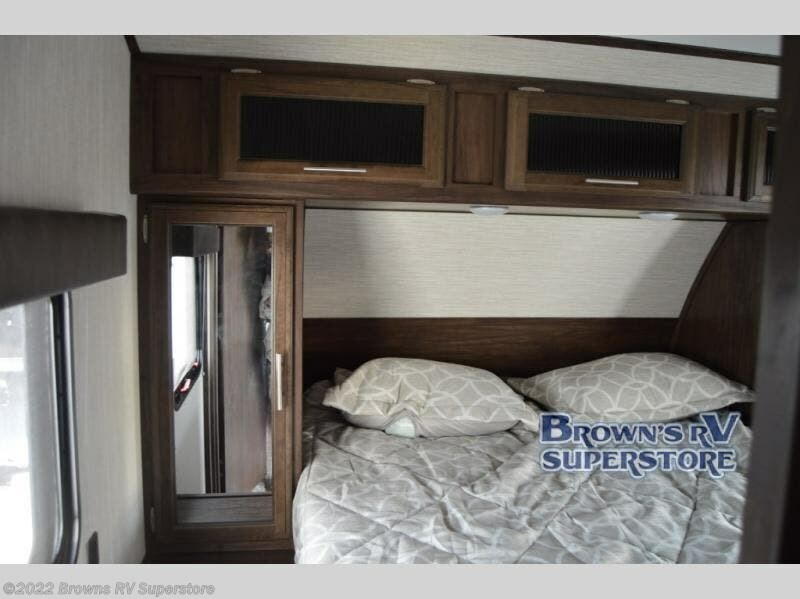 This extravagant model is able to sleep ten people because of the set of double-size bunks, the queen-size bed in the front, private bedroom, and the U-shaped dinette. 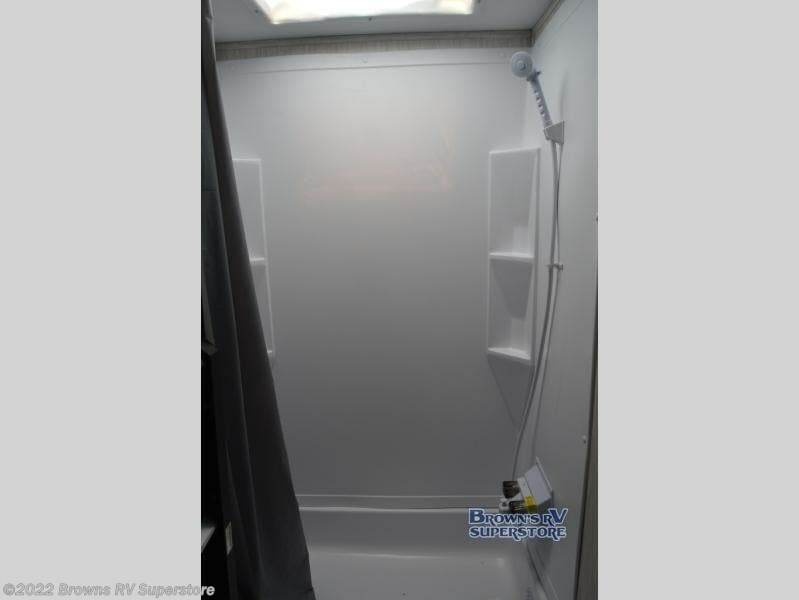 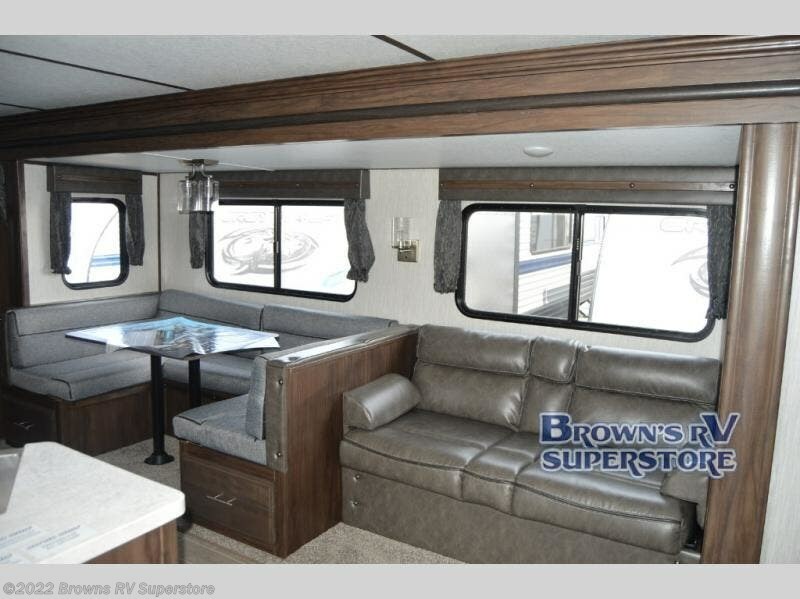 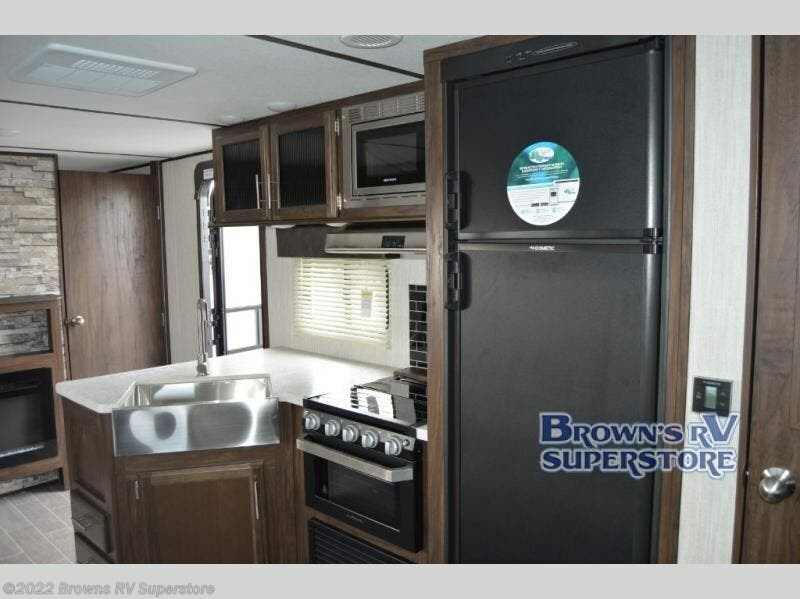 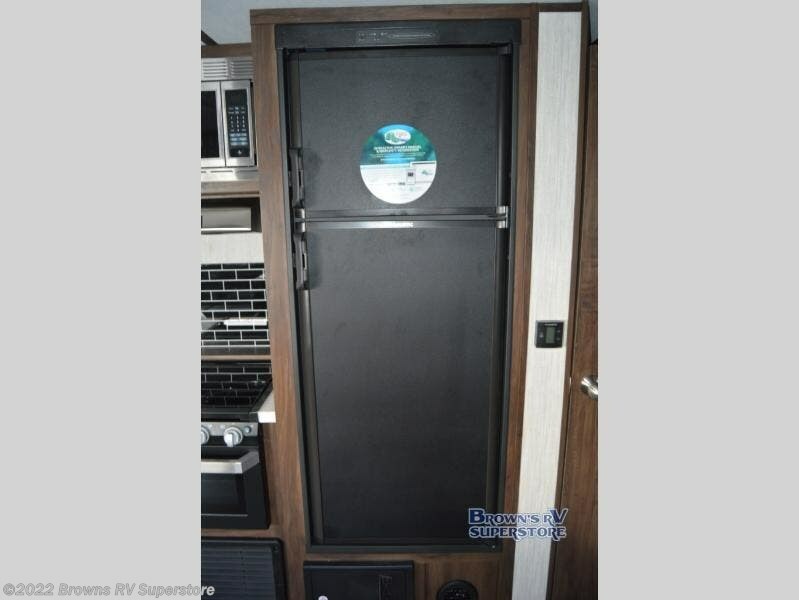 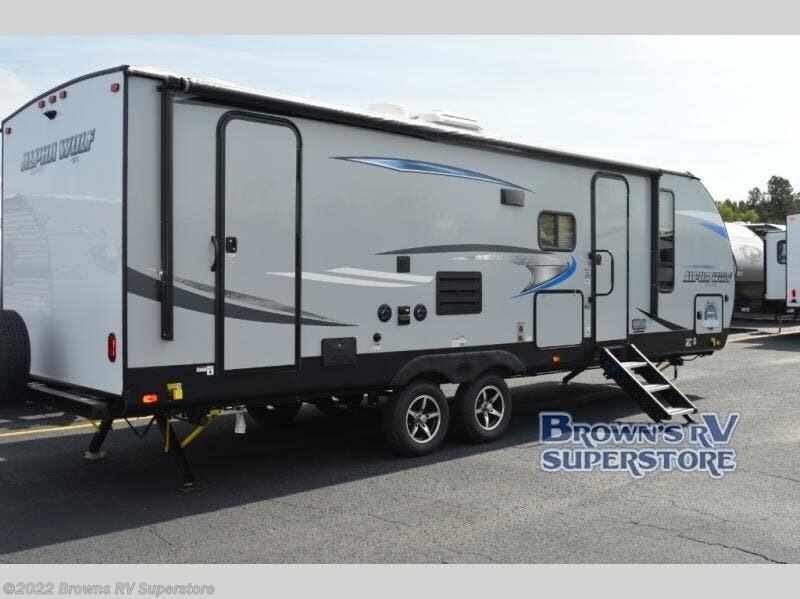 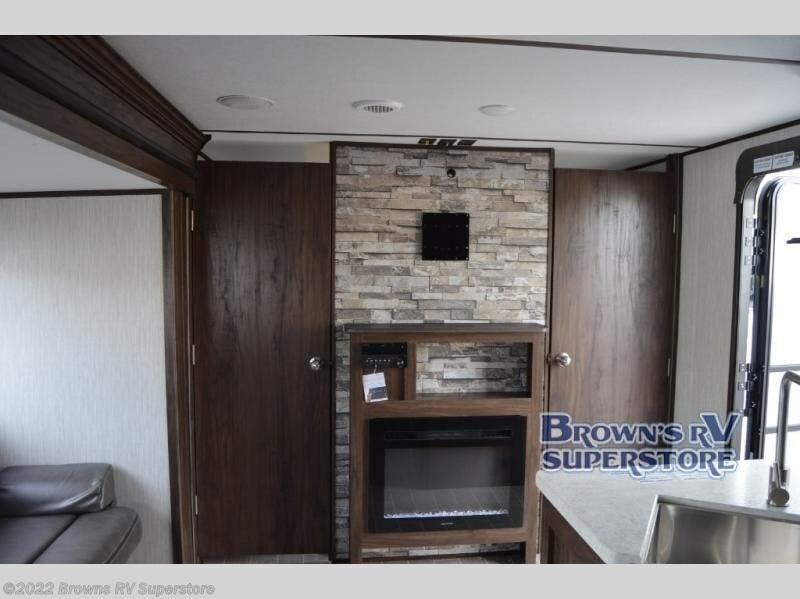 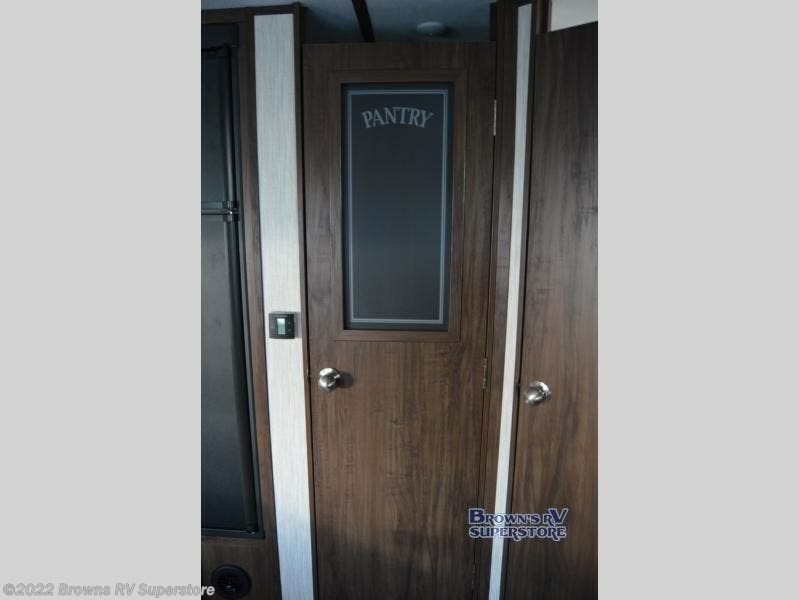 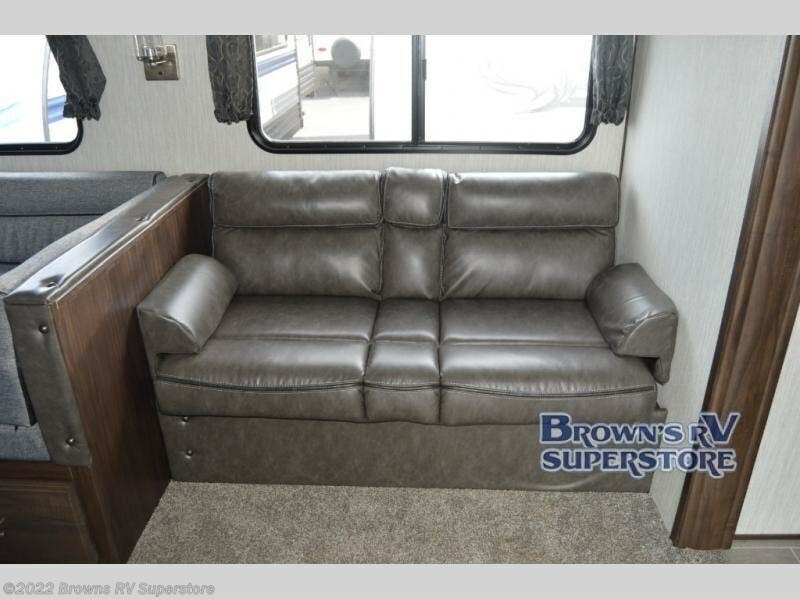 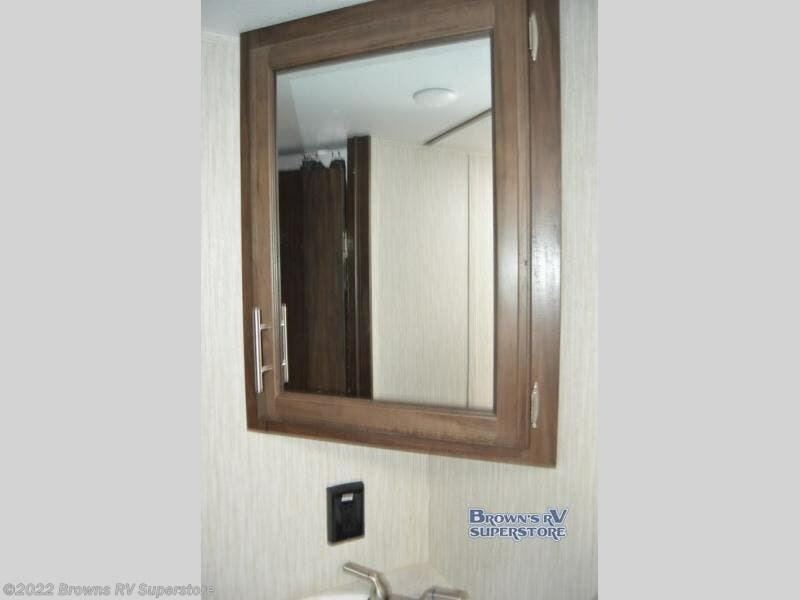 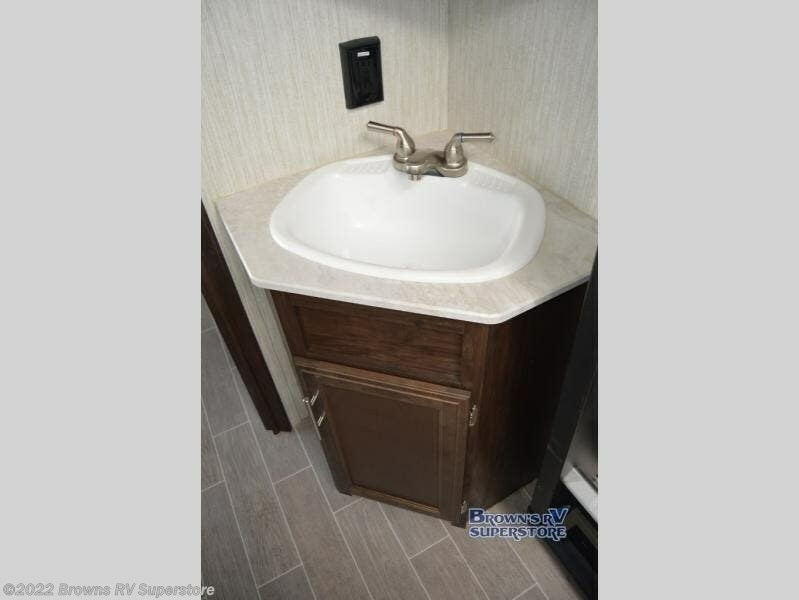 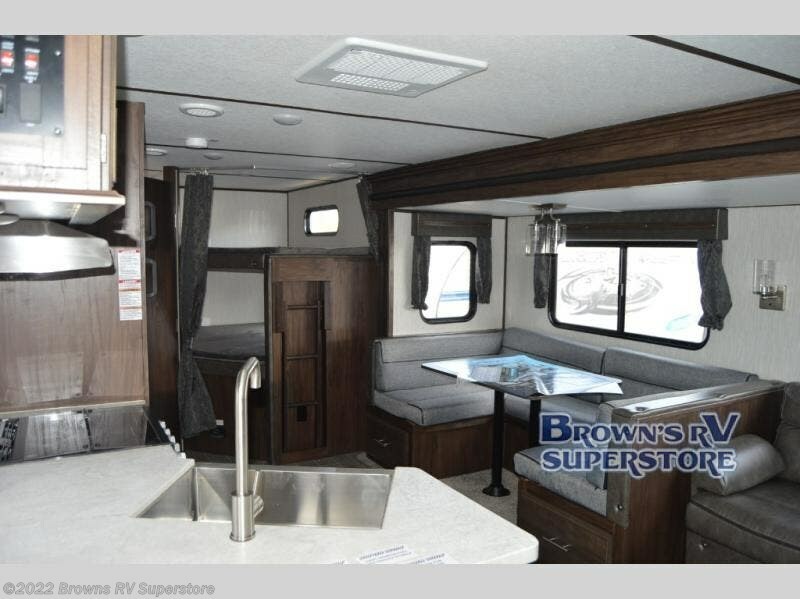 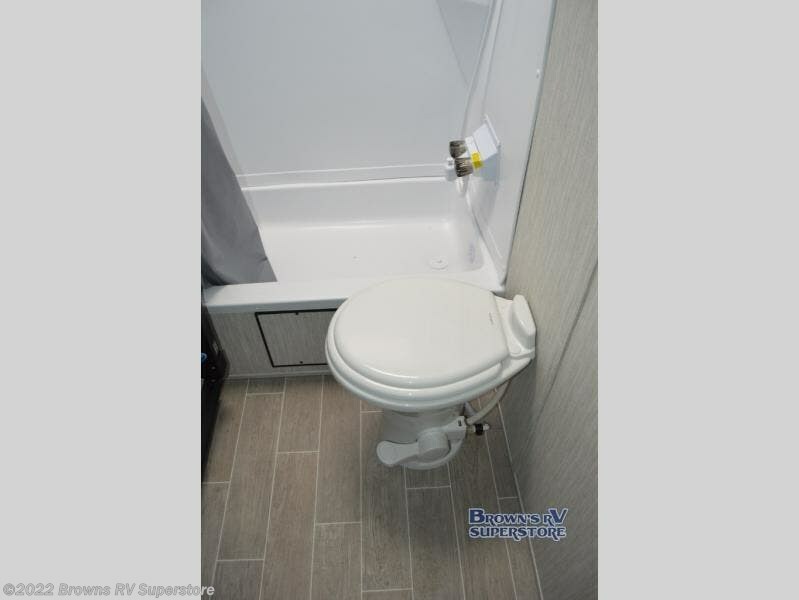 With two entry doors, you have easy access into the trailer as you load up for the adventures ahead or unload once you've returned home, and the walk-in pantry is a big help in storing all of your canned goods and non-perishables so that they are ready to go when it is time to prepare dinner. 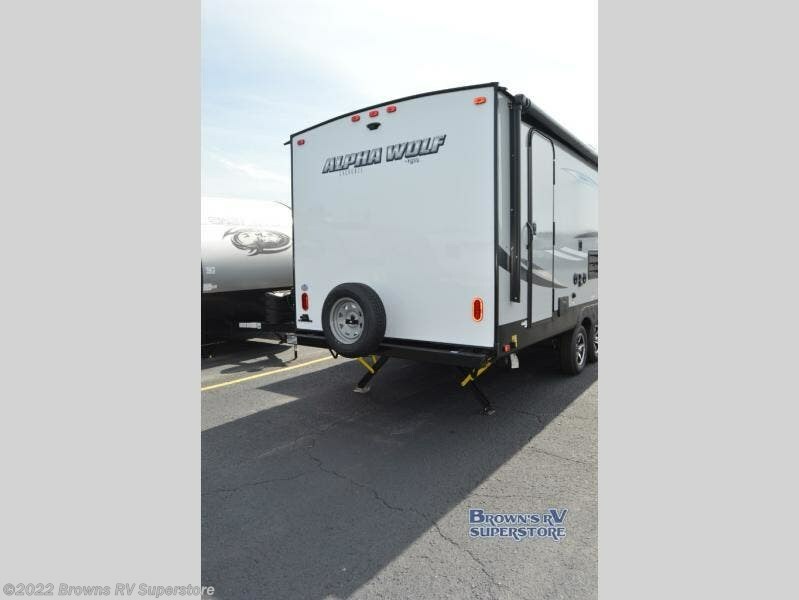 The Cherokee Alpha Wolf travel trailer is the first of Cherokee's line up to be fully laminated, which makes it lightweight, well insulated, and able to provide a sleek and modern exterior. 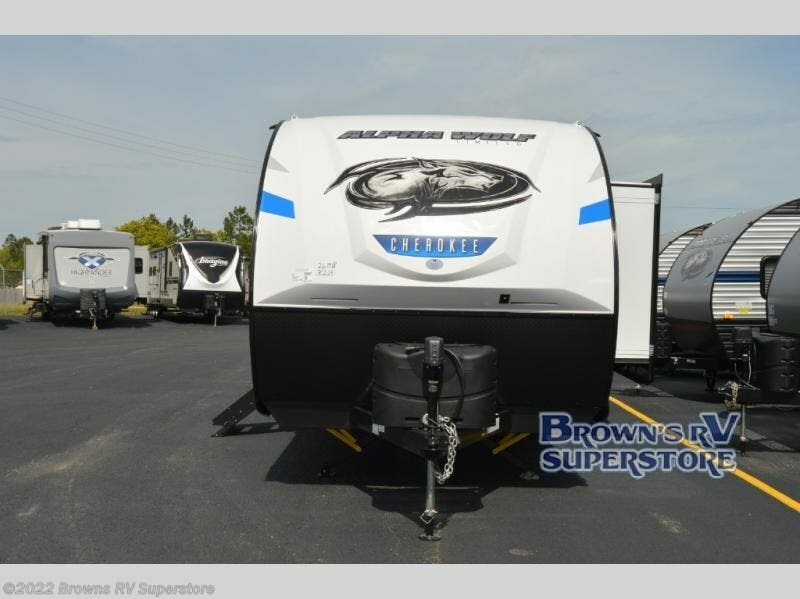 The tire pressure monitoring system and exterior shower with hot and cold water add to the usefulness and value of the Alpha Wolf, and the LED lighting on both the exterior and interior delivers a bright and cheerful atmosphere no matter what time of day it is. 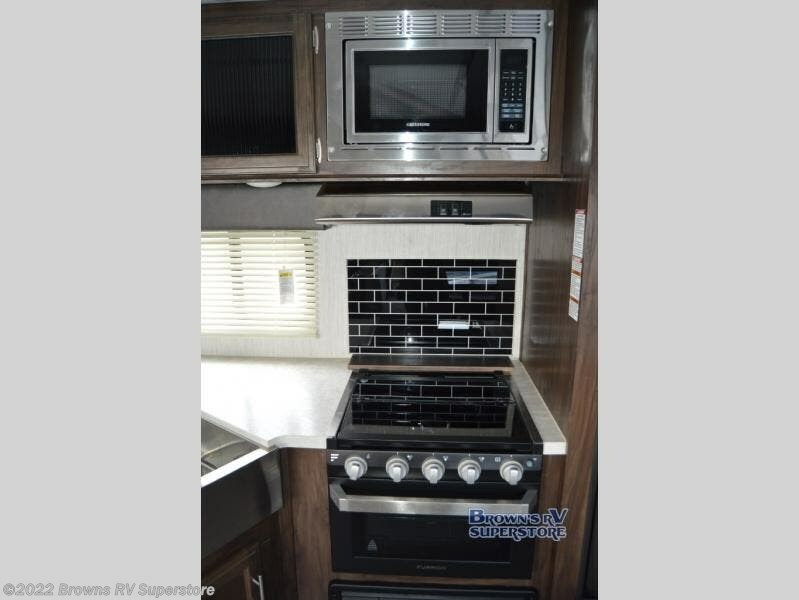 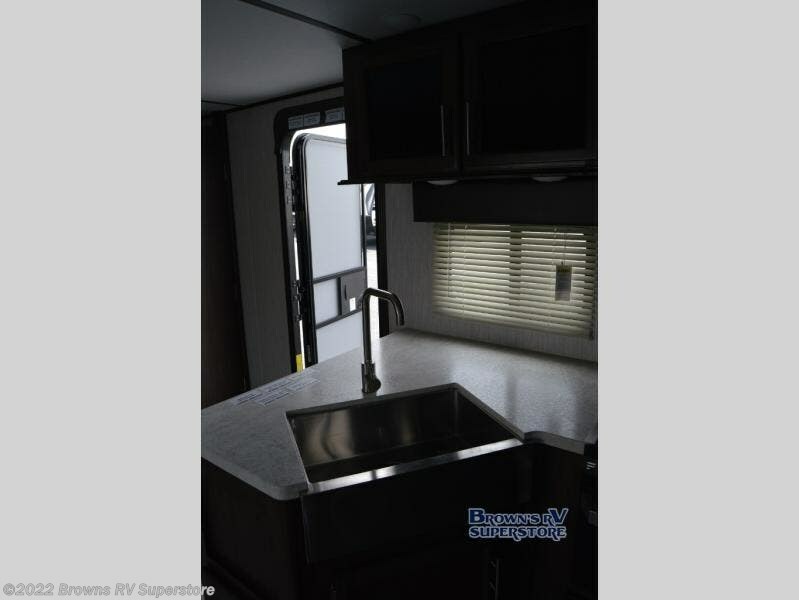 Inside of the Alpha Wolf you will find stainless steel appliances in the kitchen and plenty of storage for your pots and pans underneath the sink. 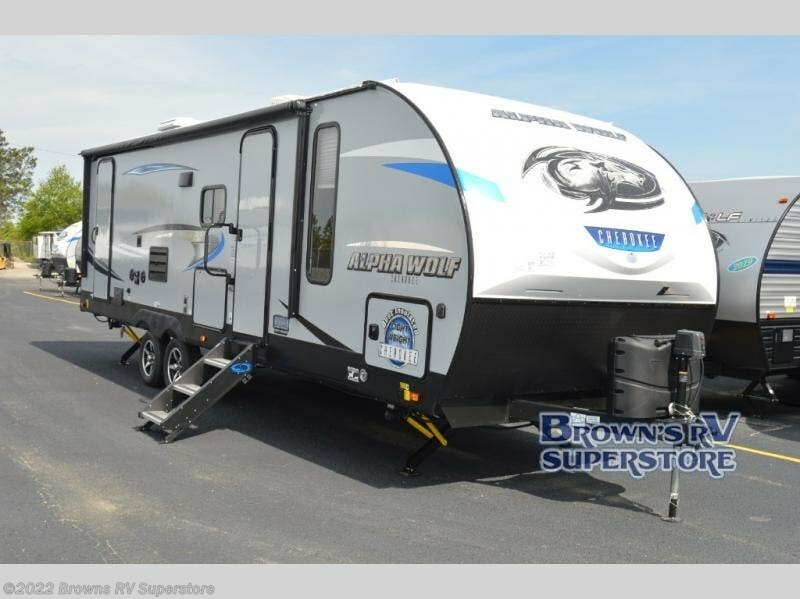 Check out Stock # 02691 - 2020 Forest River Cherokee Alpha Wolf 26DBH-L on forestriverrvsource.com!